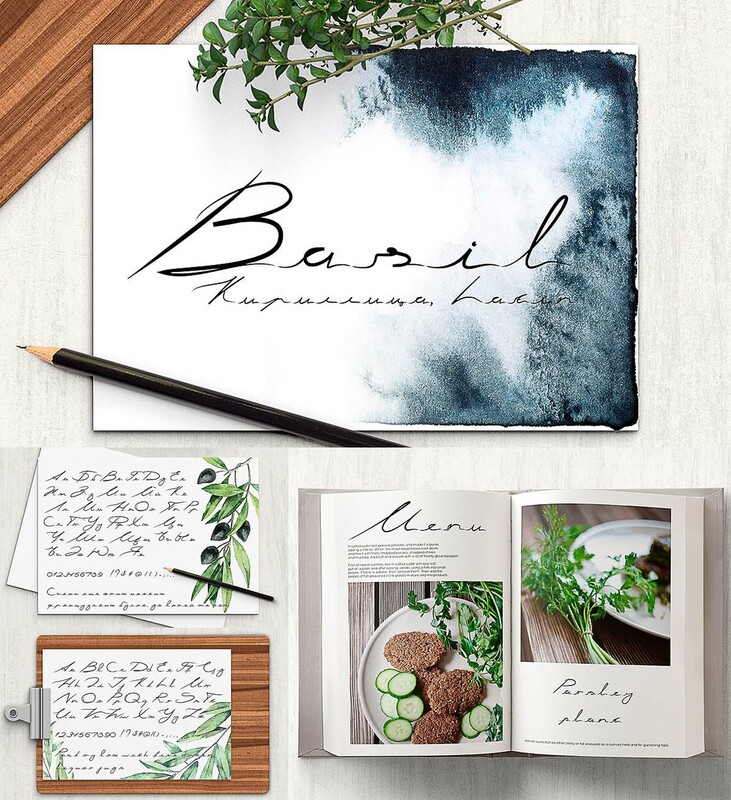 Basil is unique and modern script font, every single letters have been carefully crafted to make your text looks beautiful. Perfect for: logo, wedding, blog, invitation, branding, and other projects! Tags: caps, cyrillic, hand lettering, handwritten font, script, typeface.